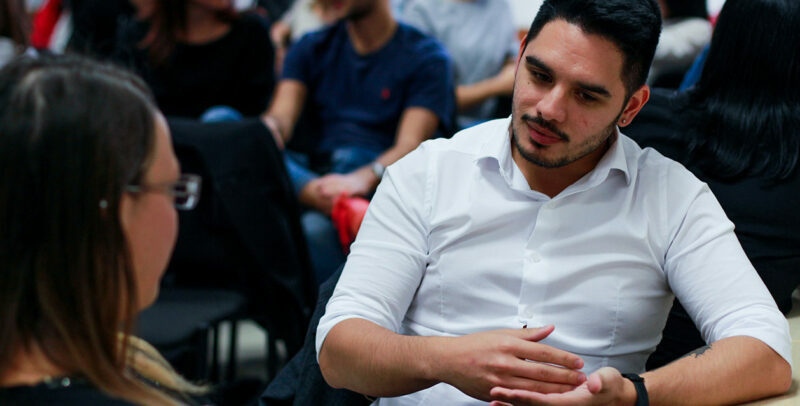 Davide is a 25-year-old who joined Generation Italy’s "Excellence at Point of Sale" program in October 2018. After Graduation, he found a job with Leroy Merlin who renewed his contract in February 2019. Before Generation, I had only worked occasionally without any serious work experience, never able to find the stability I was looking for. After Generation I understood how to learn from my mistakes and improve myself. It provided a way to not only find a job but also to become the best version of myself. The course “Excellence at Point of Sale”—thanks to the incredible trainers at ELIS, the methodology, and the content—taught me a lot about my current role as a sales assistant. From the outside, it may seem like a simple job. But in reality, there is much more to it. Generation helped me in my onboarding in the store because thanks to the training I received, I was able to apply all the content from day 1 and to learn and get up to speed much faster. I’ve always been a person who was uncomfortable talking to others. Generation helped me learn how to engage with new people. The simulations we did in the classroom were very useful: they were very embarrassing at first but if you take advantage of them, they are huge learning opportunities. For this reason, here is my recommendation: take advantage of this unique opportunity, put yourself out there, without fear and without embarrassment. The role plays and simulations we did during the course were what helped me the most to prepare for the activities I do every day at work.